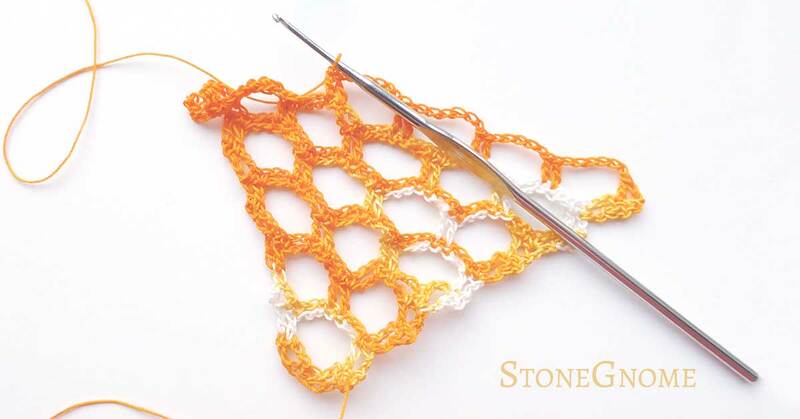 We love new stitches. And being an experienced crocheter, you might sometimes think, you have seen it all. Then a new stitch pops up and makes everyone excited. 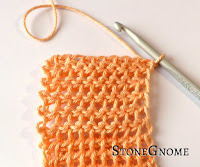 In my last blog post, I showed you how to link stitches. I also have a suggestion of how to do a back-linked stitch, which is much less visible. Furthermore it gives you a fantastic texture and drape. This is truly useful for scarves and other things you wear. When doing 'ordinary' linked stitches, you get a visible link at the front of the stitch. Sometimes you don't want that. In that case, I've work out a method, where you use a bump on the back of a stitch to link into. Back linked stitches. Almost invisible at the front. See the back side below. Notice. 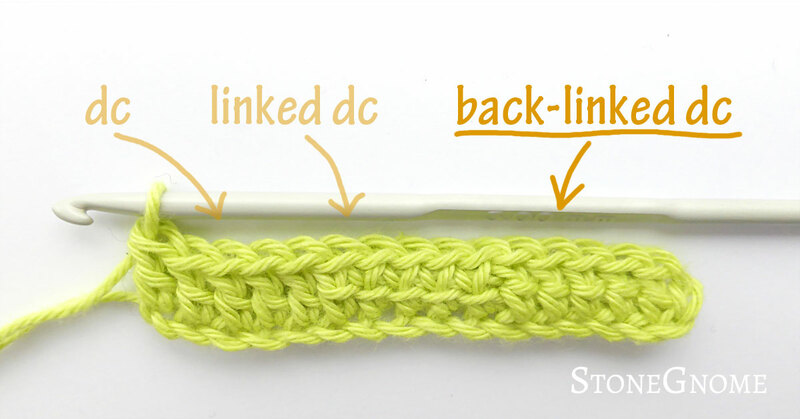 You can link double crochet (dc) and taller stitches (US terms), though you can also link a dc to a half double crochet stitch (hdc), if the hdc is made first. 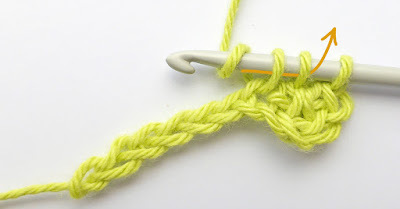 Like linked stitches, back-linked stitches are also made by replacing the normal yarn-over (YO) with a link. 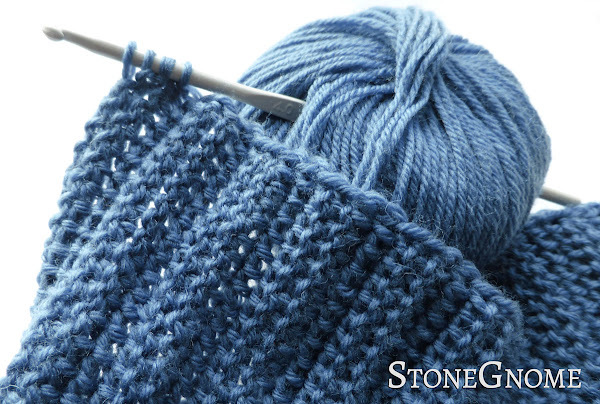 In back-linked stitches you insert the hook into a bump on the back of the last stitch. 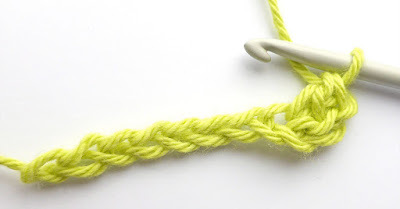 Look at the back of a chain stitch. There is a bump there, we will use. Taller stitches usually start with 2 or more YO. Each of these YOs should be replaced with a insert-into-the-back-bump-yo-pull-up-loop. Foundation. 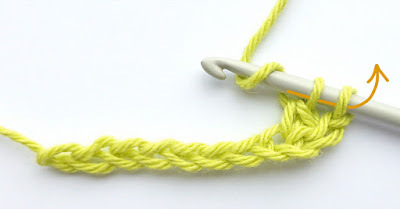 Make a row of 8 chains. Turn with 2 chains. Be careful NOT to tighten the last chain and the loop on the hook too much or you cannot insert the hook in the bump. Make the first back-linked stitch by turning your work, so you can see the back of your last chain. Find the first back bump close to the hook and insert the hook here. YO and pull up a loop. Skip one chain and insert the hook in the next stitch/chain as you would do with a normal dc. YO and pull up a loop. Finalize the dc as usual. *YO and pull through two loops. * Repeat this. The back-linked stitch is done. If you count the 2-chain-stitch, there are now 2 stitches in the row. 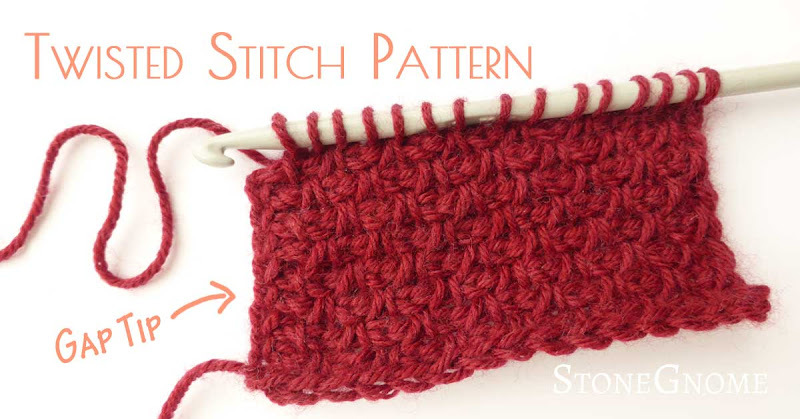 All the following stitches look alike. Turn your work a little, so you can see and find the back bump closest to the hook. Insert the hook in the back bump. YO and pull up a loop. Insert the hook it the top of the previous row or chain (as usual). YO and pull up a loop. Finalize your stitch as usual. *YO, pull through two loops* until there is only one loop left on the hook. Turn with 2 chains. 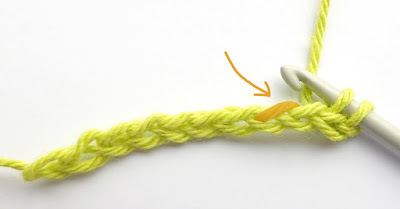 Do not tighten the last chain too much.The first linked stitch can be difficult, if you tighten your chains too much. Find the back bump of your last chain and insert the hook here. YO and pull up a loop. 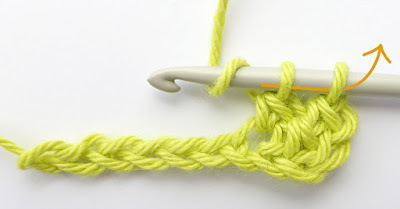 Insert your hook into the next stitch of the previous row (as usual). YO and pull up a loop. Finalize the stitch as usual with *YO and pull through two loops* twice. Repeat 5)-7) all across for a full row of linked stitches. Two rows of back-linked stitches. I know some of you like a video. So I hope this is useful for you. Remember to click like, if you like it and I would also love if you subscribe to more on youtube. When I had worked with linked stitches for a short while, something hit me. If you have tried linked stitches with taller stitches and if you know Tunisian crochet by heart, maybe you have seen it too. To me, linked stitches are similar to short rows of Tunisian crochet stitches. Ordinary linked stitches are Tunisian simple stitches and the back-linked version is similar to the Tunisian top stitch - which btw, is one of my favorite Tunisian stitches due to its drape and how it can be used for a flexible rib. 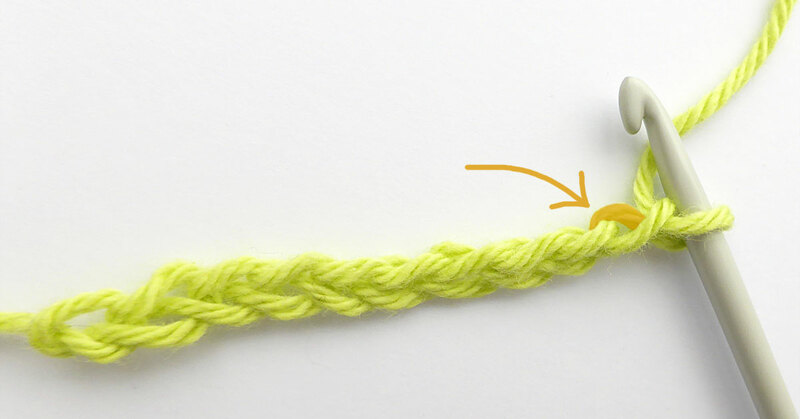 So, maybe we could just call linked stitches for short rows of Tunisian simple stitch and the back-linked stitches for short rows of Tunisian top stitch? Well... my problem is that I need to add a disclaimer here. 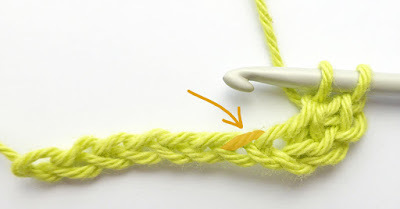 I believe some has argued that linked stitches are NOT Tunisian stitches. I don't see any difference, but now I'm not sure, if we should call them one thing or another - or if the purpose and way of thinking of them can justify two different names. I'll show you how to link crochet stitches and eliminate the slit between them. It is very useful, if you want to use a tall stitch for an amigurumi figure or just want another stitch in your stitch collection. 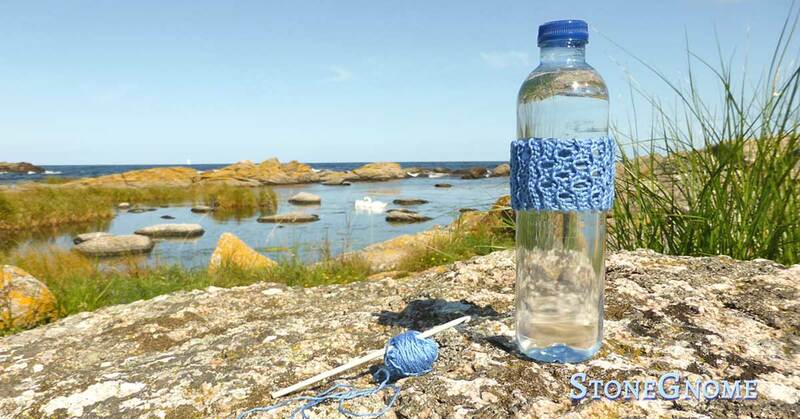 Make a nice decoration for your bottle of water. Use it as nice touch or for more practical reasons. Everybody brings a bottle of water at the fitness center or at a field trip. Some of the bottles look very much alike, and occasionally it can be difficult to find the right one. Here is a pattern for a bottle decoration, that makes your bottle unique. Most of us use it frequently. Just a little here and there. Some consider it more of a technique than a stitch. But it IS a stitch. 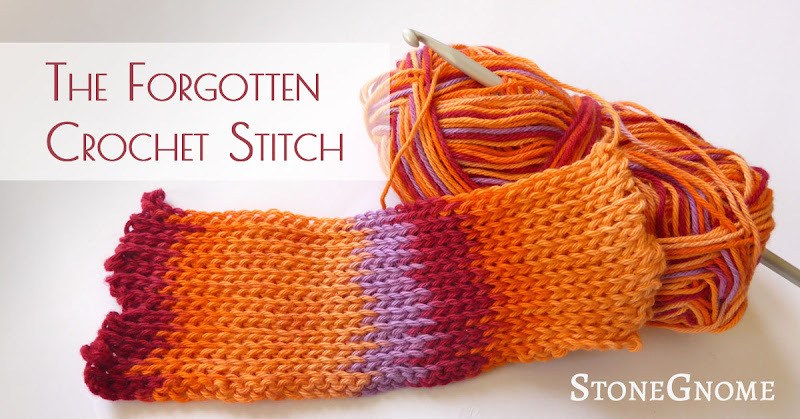 We tend to forget that this stitch is very versatile and can be used for much more. It can give your work a dense - though soft and drapable - fabric, you can use it for decoration, and it can be used for a stretchy ribbing. 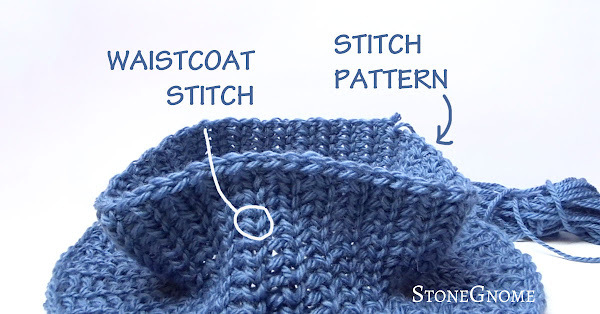 Have you figured out by now, what stitch I'm referring to? Latvian Twist - or Twisted Stitch Edge - is a knitting technique for creating a lovely border. 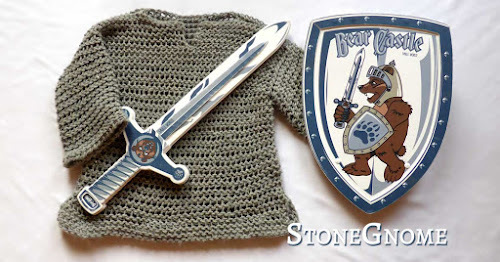 I have seen knitters doing it, but never a crocheter. 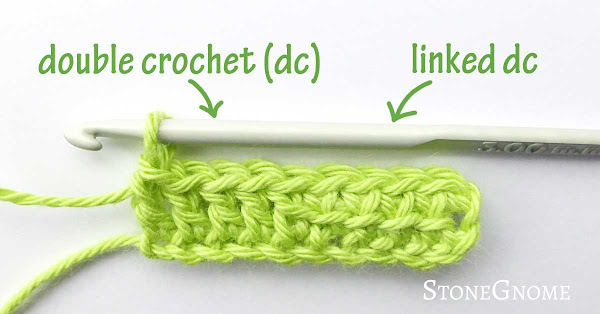 So I tried it, and you can use it, when you crochet. 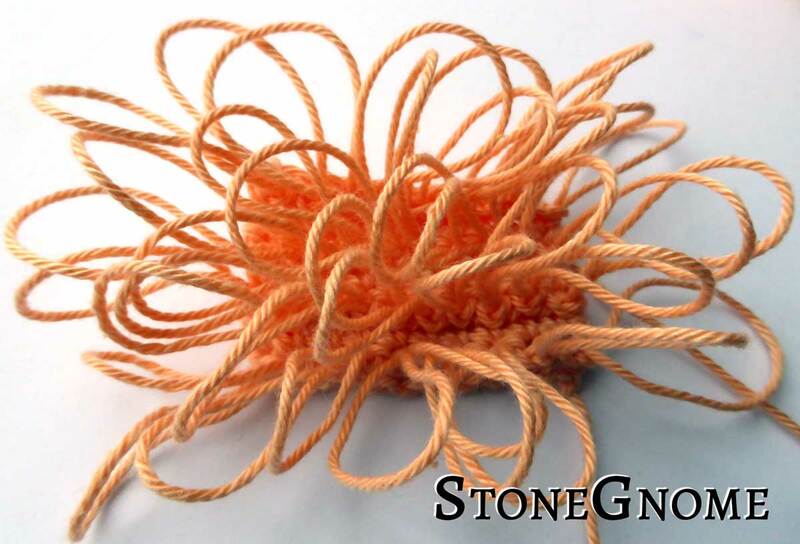 It takes advantage of the natural curling of a crocheted work and it will also help you prevent the rolling of the rest of your work. The back of the Tunisian Top Stitch has similarities to a chain mail - at least when using a large hook. I made a chain mail costume for our boy. I'll show you how to make one too. The project is fast and it doesn't matter, if you make a little mistake here and there. 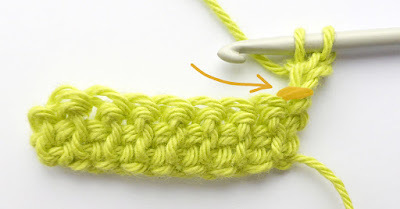 So feel free to try even if you just learned to do the Tunisian Top Stitch. This is a detailed guide, not a make-it-in-5-different-sizes pattern. 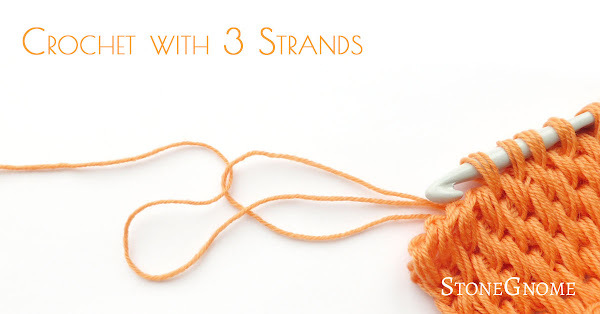 Grab your yarn, measure tape, a shirt of approximately the right size and your creativity. Front Post and Back Post crochet stitches add a nice relief effect to your work. Among others you can use them to make basket weave stitch patterns, cable-work and ribbed stitch patterns. 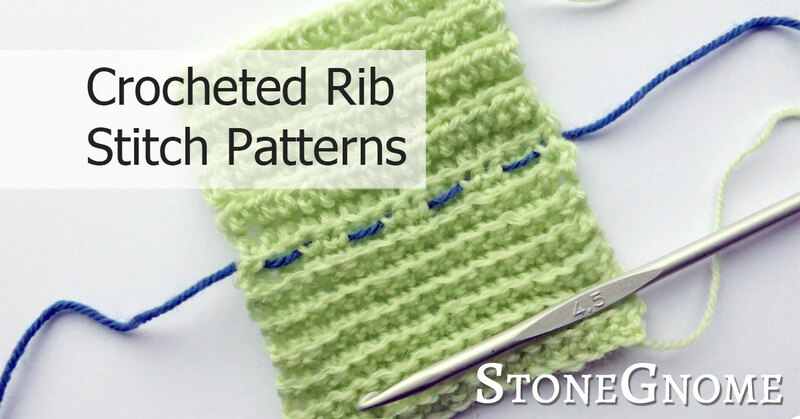 The ribbed stitch patterns even comes with a little flexibility. (If you want a very flexible rib, look for The Top Stitch Rib post here). Here is a tutorial that works. 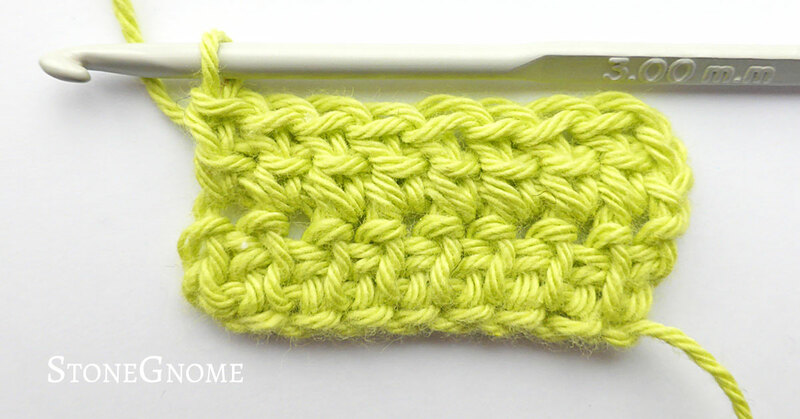 The Loop Stitch is a fun stitch to do and it gives you a great different texture, that can be used with all kinds of items. You decide whether you want the loops as they are, or if you want to cut them, when you are done. 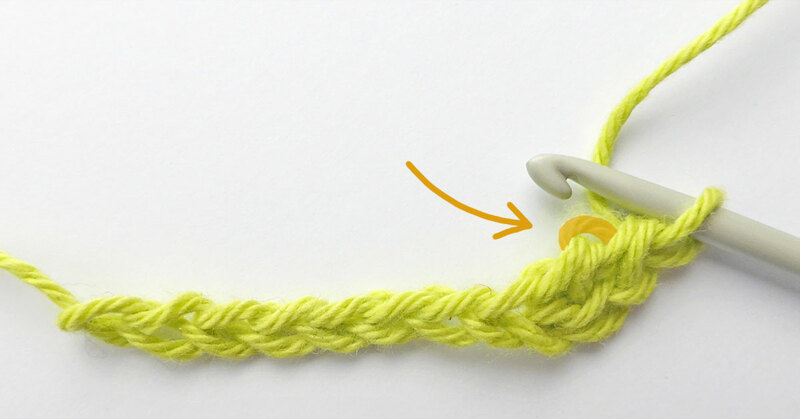 Use the Loop Stitch for a rug, a pillow, amigurumi figures OR what about a Christmas beard? I have an excellent new ribbing for you! 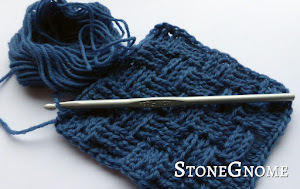 I've been playing around with the Top Stich and found a very, very neat way to make an awesome ribbing. I haven't seen it anywhere else. So I dare to call this NEW! 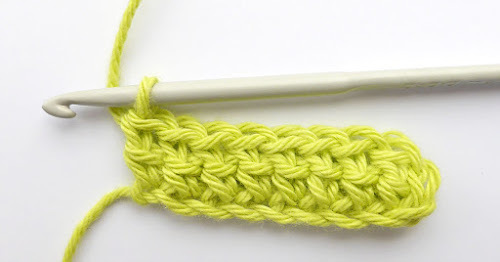 I've always wanted to learn how to crochet with my left hand too. It would definitely give you some advances! Though - come to think of it. Sometimes it is not necessary. 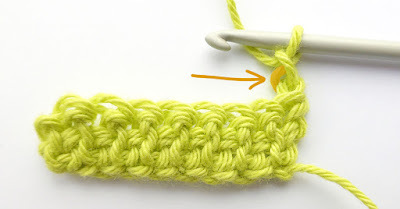 See here how to do a Reversed Tunisian Top Stitch - aka Reversed Bump Stitch. Learn to do the Top Stitch - aka Bump Stitch. 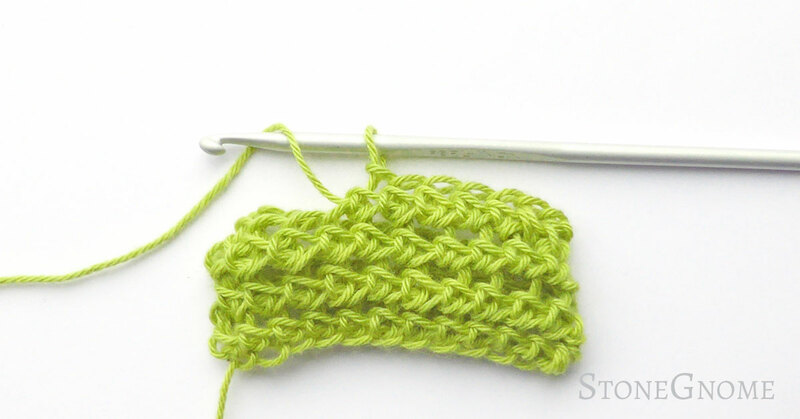 It is a VERY easy stitch and the stitch is also very fast to work with. You can easily make beautiful lace-like scarfs with this technique. 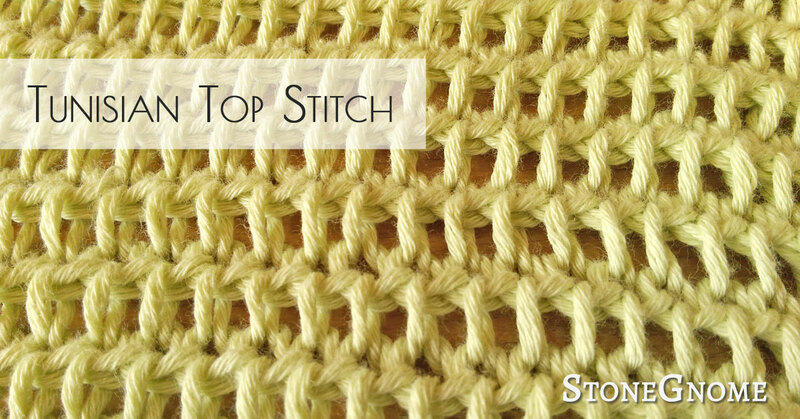 It doesn't feel long ago since I discovered the Tunisian Top Stich - aka Bump Stitch. 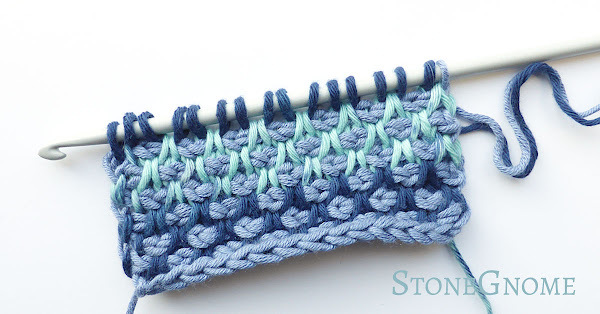 This certainly is my favorite Tunisian stitch of today. 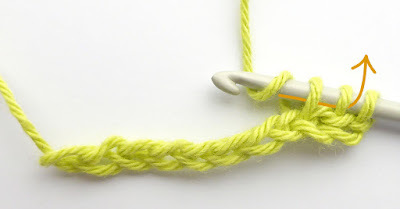 I've done minor testing on different ways to use it - like for ribbing - and I think the stitch has potential of being a new mother of stitches. 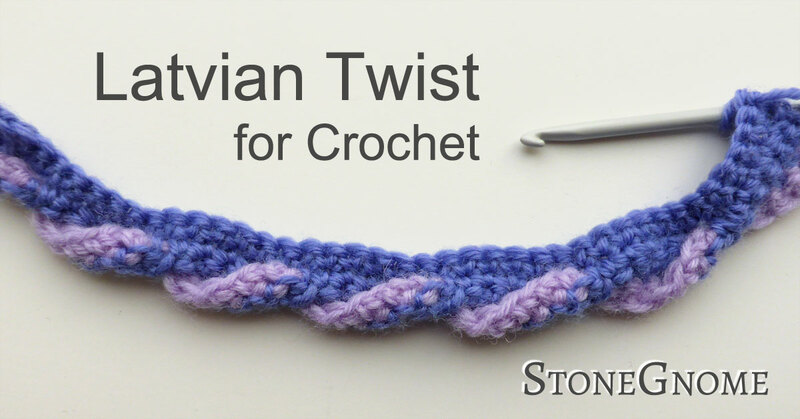 Meaning it can unlock new possibilities for Tunisian crochet patterns.